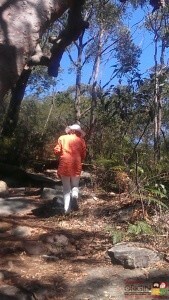 Of all the excursions into country we have undertaken, this has to be the one of which we held the least expectations. The main reason it came about was simply to try out an unusual lens-attachment. Every other apparatus used or experiment conducted during this day evolved out of our attempts to find what may be revealed by a set of lens that detect activity outside the range of the eye. 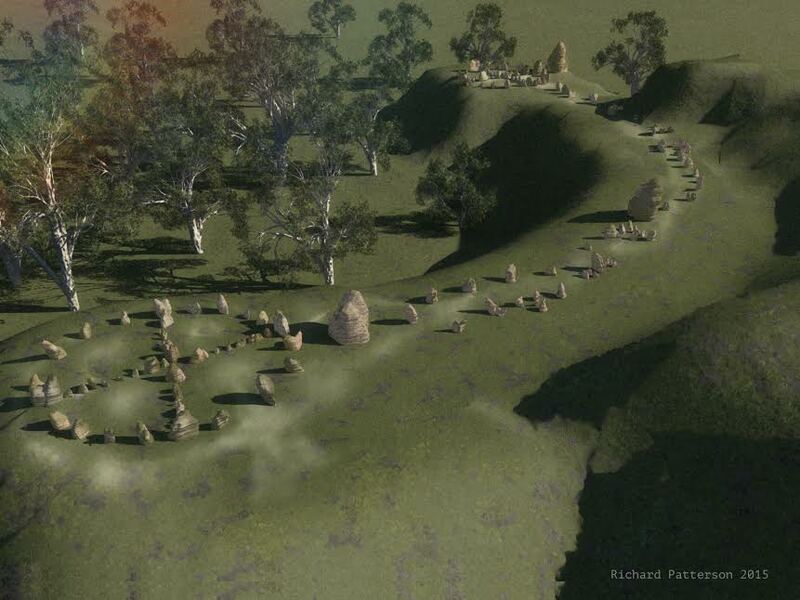 A valued colleague who has been an essential part of journey, Richard Clarke, had spoken to us about these lens and the results he obtained at Stonehenge and other sacred pagan sites. 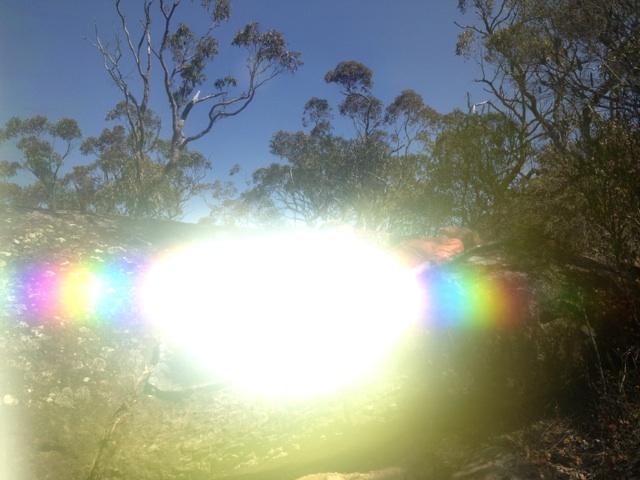 What Richard had photographed was indeed spectacular and decidedly etheric, and that of itself was sufficient motivation to spend a day in the bush ‘playing with toys’ and see what eventuated. Our selection of four sites, and there were other candidates, was predicated around a recurring phenomenon/truth: so many of these sites are positioned on lines of energy. And that description is woefully short of the mark, trying to put into words a reaction or force that is always different, palpable, yet without measurement, is a task restricted by our limitations. We observed different reactions to a variety of devices that has no commonality or predictability in what is actually occurring. All we feel we can be certain of is that something seems to be ‘stirring beneath the surface’ that isn’t part of the normal way of seeing things. Of course, for many sceptics our next claim, that we intend to bring a degree of scientific rigour and methodology to our day of seeking signs of Divine, is inherently contradictory because real science and the paranormal can never co-exist. That is one point of view and we have another, which we will develop throughout this article. In our attempt to breach that divide, we have called upon the assistance of technology that spans the ages, gathering together ‘six tools of the esoteric trade’ to assist in our endeavours. Richard’s full set of lens, two cameras, one set of dowsing rods, a crystal ‘swing,’ magnet, compass and one other device was the sum total of the equipment used during the day in research. After being ‘smoked,’ the group of ten began the morning by making our way towards the Bambara hieroglyphs. At our suggestion, we felt the time spent with devices at the ready between the three engraved walls and beside the ‘healing table,’ could be a productive way to set off proceedings. We were no less than five minutes from the glyphs when a welcome return to our routine made an appearance. ‘Bird sign’ when going on to country is almost always guaranteed, but nonetheless gratefully accepted. Even more so, when three large black cockatoos were perched on a branch that overhung the track, and remained stationed until all of us had passed underneath. They flew off, never to be seen by us until we returned after our time in this country was completed around mid-day. There they were, the same three perched above the track, we can’t prove this, but just know they were sitting on the branch giving their approval and bidding us farewell. Back to the next part of our journey, an obligatory meeting with the Grandmother Tree. 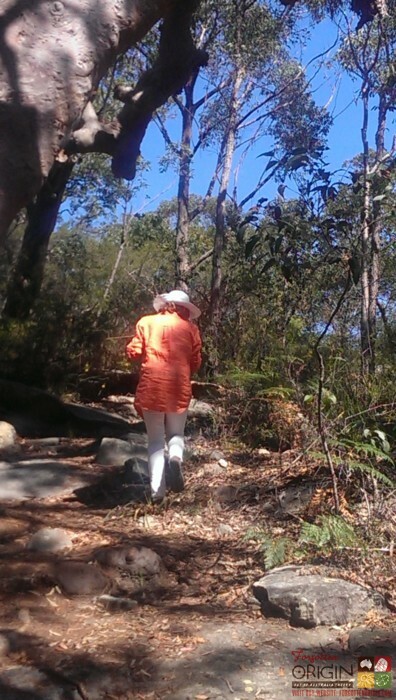 It is the biggest and most majestic angophora tree we have ever seen, and is so much more. It is expected that each person make skin to bark contact with the tree, this is customary and a sign of respect, and in our case a mandatory act of reverence that permits moving closer to the walls. And that was it. The expectation was that once connection and affirmation between person and tree had taken place, it was onward and upward. Once settled at the walls and table we would pull out our ‘box-of-tricks’ then see what happens, well that was the plan. Before continuing in this report we must confess that we originally held no interest in dowsing rods. Never been on our radar. The reason for our avoidance is that at initial glance, there is just too much negative baggage. 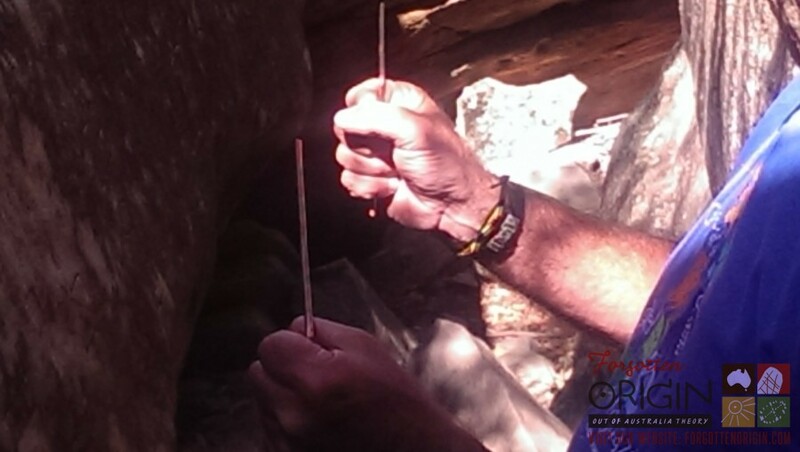 Until recently we had no reason to champion the credentials of dowsing rods and were reluctant to do so, but the problem is that the two times we have seen these rods in operation, they work, it is that simple. We really don’t take much stock in the opinion of other people or organisations who invest in the status quo, and when it comes to dowsing rods it looks like they are wrong again, because according to our score sheet before the day started, the rods were batting two from two. Until Richard pulled out his dowsing rods and made his way up the slope near the Grandmother Tree I still saw no reason to change plans. Above, below or beside, it made no difference, both rods were locked on to one stationary point, the tree. We now had every reason to change plans. To say that the two rods pointed at the tree lessens the intensity of the process and demeanour of the person holding the rods. There was no mischief at play, what we saw was real and honest, we were witnessing an Original truth in the here and now. What to do? How could we transform such a sublime interface onto paper replete with methodology, numbers, controls, tallies and results? It actually wasn’t that difficult to cobble together something reasonable, we already had enough test-subjects and it was my expectation that they would have been called to the crayfish with rods in hands later in the day. All we had to do was move everything forward a few hours. With a plan formulated, I decided keep my distance and try to remain as detached as possible and asked seven others to repeat the process Richard initiated. In an attempt to set this off on a semi-identical footing, I asked Richard to lead off and repeat what he did barely five minutes earlier. As previously, the results and movement of metal was as powerful and continual, whether walking up or down slope the rods were securely locked on the same target, the Grandmother Tree. Of the seven seconded to copy what Richard did, one volunteer was less than enthusiastic. Shane quietly objected. He told me that he felt an overwhelming sense of no, that this is not what he was here for and his role is no less important, but the Spirits had spoken and there would be no response in the rods if he participated. If we are genuinely researching the presence of the mystical, then that premonition of a ‘no-show,’ if correct, meant we now had a psychic control, with an expectation and affirmation that his motionless rods will confirm this denial from the Guardians of this site. In total seven volunteers saw movement in their rods, but there were some variations in speed and possible contributing factors that need to be taken into account. First of which being that some were familiar with the rods and how they were used, while others were novices. Equally, although in general terms the reactions were always pointing to the tree, not two responses were exactly the same. With Richard setting the pace, the seven others took their turns. Robyn and Gavin have used rods before, nevertheless, they got a reaction no less powerful than that of Richard’s. Evan, Tracy and Adam are novices to such devices, and although their rods were active it wasn’t with quite the same vigour. There was no difference in alignment in each attempt, although it did seem that both Evan and Tracy’s response was more ‘left-sided’ in direction and in the way the rods moved. There were six very positive interactions between person, rod and tree, but not so with the last two participants. Shane got exactly what he and we expected, the non-event was ‘spirit-sent.’ The rods never stirred, he held them loose and at the ready, but the copper conduits remained limp throughout. Then there was Erlank, who scored of one out of two, the rods moved to right on his way down, but were still during the ascent. I wasn’t sure if he would get any reaction. He is not from Australia. We are not passing judgment or inferring that his non-residence makes him a less worthy sentient being, it is just that he is new to this country and the spirits of the land. The others in the group have been in the bush and sacred sites, know of the need to be smoked, whereas Erlank is a novice in such things. Time is needed to acclimatise and familiarise with Original protocol. Now even more aware of the power and symbiotic exchange, Richard then tried to measure the range of the energy flow above and below the tree. Above the tree the rods snapped to attention forming an outer perimeter of 4.9 metres, while below its energy was still being detected 4.3 metres away. We could have persisted and asked each person to repeat what Richard did and average the results, but it would have achieved little, as the esoteric bona-fides of this sacred tree had been established well past our satisfaction. Next stop, the three engraved sandstone walls. We did secretly entertain the notion that if any site would put on its etheric guise, this had to be the place. 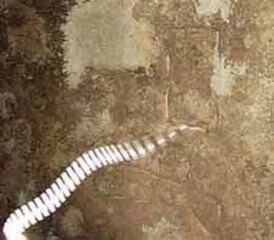 It had an extensive track record, the photograph supplied was taken some years ago to supposedly highlight some hieroglyphs on the largest wall failed in focus at one level. When the shutter opened no light was seen by the human eye, but the lens had a different focus. The white light spiralling out of the rock certainly seems to resemble a serpent-like form, which is very Original in setting. The compass, crystal swing and magnet registered nothing, photographs were taken with and without the lens, and they showed very little. Despite the disappointing lack of reaction, all was not lost as it was always the rods that held the most attraction. When Richard pointed the copper towards the walls I sensed that something amazing was about to happen. Far from it, the rods were decidedly disinterested. No matter how many times Richard reset the dowsing rods towards the walls, they steadfastly refused the invitation to connect and spun back pointing directly at the Grandmother Tree. That was the sum total of the meagre offerings from what we thought was to be our psychic ‘base-camp.’ There seemed no reason to stay, so onto the healing table, well to an extent. It is a women’s healing place, not for men, just women. We know of 15 women who have laid within, and all rose changed and charged in so many ways. There was one occasion when four women spent close to an hour out of male-sight in close contact with the table, when they finally came back it was my intention to ask what happened. Words just wouldn’t work, I could see in their eyes and deep within what each women experienced was beyond the fringe and with the spirits, it was not from the here and now. This is why we came again, to put some substance to what we all knew was true in every sense. Not far away the men sat on the rock platform amongst a 4,650 year old engraved star-map, taking in the magnificent view and some early lunch. Richard took up a discreet post a little distance from the table, but closer than our rock platform. With two women (Robyn and Tracy) ready and willing, we needed one male to act as a second recorder using the camera with lens. We wanted one lens to be normal held by Tracy and the other treated, so that the full spectrum could be captured on film, the whole idea was to try and capture some ‘hard evidence’ as each woman laid inside the healing table. Not long after we separated through gender, Richard came back and suggested that we all come over and look at what he had found. It was all a touch cryptic, and I could tell it would stay that way until we joined the women standing beside the healing table. It was those notorious rods, they were doing it again. None of the men were prepared for this display, the women had not begun their meditation/contact and while they were getting ready Richard scanned the immediate area with the rods. After what transpired once the rods were set to the task at hand, the response was consistent and set in stone. 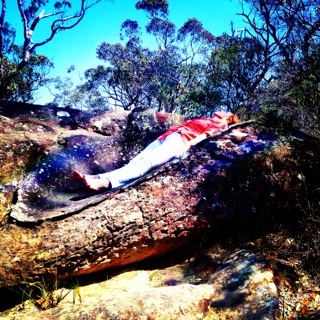 About five metres from the healing table there is a fault/ridge that is slightly raised to a height of up to one centimetre, the rock is of same material on both sides, exactly the same coloured sandstone. Coming down from the table the rods remained crossed inwards resting against Richard’s body, but as soon as he stepped past that ridge they sprung free and pointed out. If he returned going up the slope, the rods began pointing forward until passing over the line in the rock, past that point they locked into the same closed position. 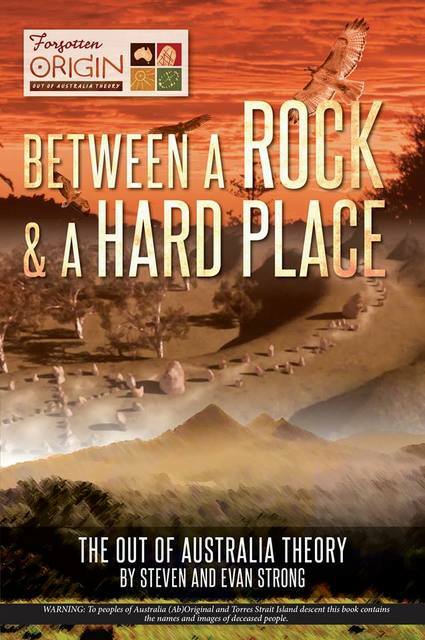 In every instance all the way up and down the ridge-line the movement of rods was immediate and rapid, it had all the appearances of a very solid connection between rock and rods, and an affirmation that the area past that point was indeed a sacred women’s site of immense power. If only we could find the means to validate as to what the rods were reacting. We have to be brutally honest, whatever performance the rods put on will not ‘cut the mustard’ with mainstream science, thinking, media and every other conservative channel. We needed more than our stunned expressions and a collective sense of awe. The camera, both with and without the lens, was always our preferred choice of apparatus. It was time to see whether there was a way filming the spirits stirring and a feminine portal awakening. We saw the shots soon after in the camera. Mission accomplished, and some, a slight hiccup with the walls, but a big recovery with the table and close precincts. In what only added to the esoteric tally Richard found that once outside the realm of the women’s energy, every position he stood at saw the rods point directly to the Grandmother Tree. We would never have picked that recurring destination as a remote possibility, but no matter where Richard was stationed the rods remained resolute in responding to the same source. Then again, nor did we expect to get such dramatic shots of the healing table in action. It was time to part company with our sampling of the table, walls and tree and sample the offerings of a puzzling entree some distance to the west, but still found within the same tribal boundary. This engraving has everyone stumped, and no-one expected another visit would ever solve the riddle of how, when, who or what. Of all the archaeology and sites seen, none makes less sense than this one and central to it is an amazing engraving that seems so new, has no resemblance to any Original tribal art-style and never will have a definitive conclusion. The site was originally found through information and photographs supplied by Klaus Dona and has been visited by us quite a few times, another twenty will get us no closer to the truth. Nearby is a set of stacked rocks of considerable size with evidence of what seems to be mortar which we strongly suspect to be the remains of an ancient wall, but it is something much more recent that has always held centre-stage. This was the site where Sean first suggested we try something quite novel and never used before, dowsing rods. They spun on site, the movement filmed and throughout the many experiments it became apparent that the response of the dowsing rods was powerful, but seemed personalised when interacting with this rock. At different times, depending on person, mood and attitude, the responses varied noticeably. Pivotal to all the goings-on is the intricate and delicately inscribed figure of a crayfish. 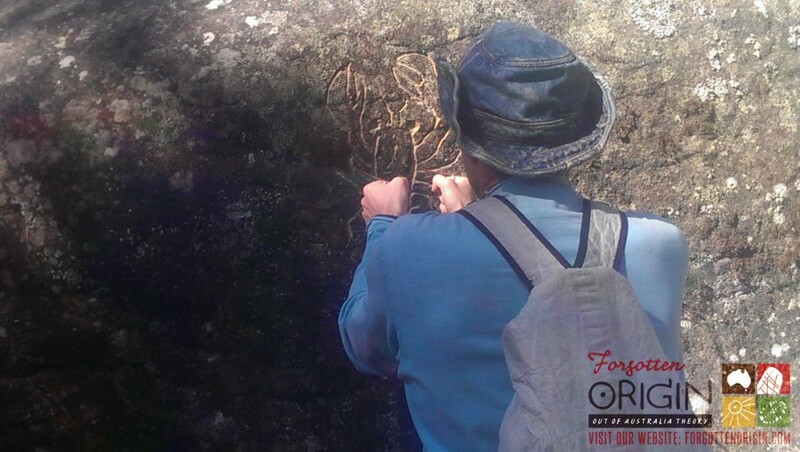 So well executed is this engraving it can rightly be called a work of art, but is placed in an exceptionally remote and difficult to reach location in the bush. Behind a ledge that is so obscure I still can’t believe Sean found it, the first reaction upon sighting, that it is a fake, seems as sensible as it is ridiculous. Why bother, there is no tag, and no-one would ever stumble upon it unless wandering through the bush deliberately looking behind every nook and cranny. The person who did carve this figure was a mason of some ability. There is no purpose or sensible reason to engrave this, but it doesn’t look Original and seems to be very recent. Such a clean and concise line, of a colour creamier and lighter than the sandstone rock upon which it is engraved, everything about it says non-Original, except Aunty Beve’s ring. It was on the second viewing of the video of this site when Aunty Beve finally remembered why the sight of this delicate engraving ‘rang a bell.’ The shape and lines of the engraving was an almost perfect replica of the ring she often wore. In what only multiplied the significance, that same crustacean, the crayfish, is the totem for her clan. Being the last full-descent Darkinooong woman, very few would know that this animal is the local totem and finding it posted here of all places, only added to the mystery. The rods were called into the fray once again, this was the site where we had hoped to get both an extremely strong reaction and a great deal of variety of responses while using the same apparatus pointed at the same icon. Nine people, including myself, held the rods close to the crayfish and only two shared the same sequence, speed and paths taken. It seems difficult to conceive how we got the rods to move in so many different angles and rates of rotation, but that is what happened. And then, in what only confirmed the previous rules of engagement, Erlank and Shane came up empty. It was a touch bizarre to observe how dramatic and forceful the movement of metal was for so many people, as opposed to nothing for two out of nine. But there was one difference this time, Shane’s crystal swing was absent in motion when between the walls, but here near the rock it was responding with vigour. What was already known from a previous inspection is that with rods in hand, it didn’t matter whether standing next to the crayfish, 0.5 metres, I metre or even 3.1 metres away, the rods kept spinning with the same force and speed. But only if the person holding the rods was on song and synchronicity with the rock orchestrating events. What we got from this was dowsing rods in action, but were none the wiser. After closing proceedings at the crayfish, Richard dowsed the surrounding area and identified three ley-lines that all converge at the same rock. What does it all mean? If merely a hoax, how did this vandal know exactly where this energy peaked, then engrave an animal that is the only appropriate Original totem of this site? Why engrave at a place no-one can see, find or admire? For what purpose was this done, what did this hoaxer personally gain from this act of hidden deception? But first and foremost, why does it look so unnatural yet so fresh? We have nothing. Something is afoot, three metres out the rods spun, but which way? The individual relationship established between person, rod and rock seems to be forged through means we can only speculate. And so we shall. The only fragile possibility we can tender seems preposterous and is damned by association, because our tentative premise is founded upon a symbiotic exchange of energy between rock and person. Such is the massive outpouring of energy from this portal, it is internally self-repairing. What if this stunning carving is actually incredibly ancient, and that such is the magnitude of energy streaming out of one concentrated funnel-point, geology is no longer dominant as the Old Ways reign. 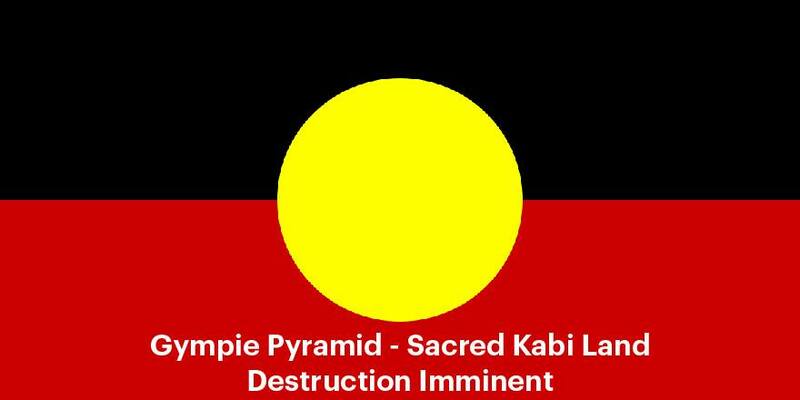 Is it possible that the engraving of the sacred Original totem of this land is renewing and reinventing itself? 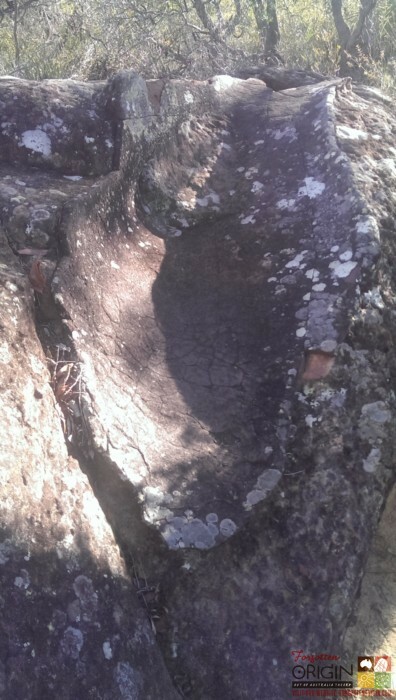 Could it be that this mid-sized sandstone boulder can fertilise Gymea Lilies, spin dowsing rods and crystal swings and is marked out by an engraving without peer? We strongly suspect that there is some sort of energy or presence in attendance in the area. The convergence point is the engraved crayfish, which could be as young as yesterday or as old as the hills. The only thing that can be guaranteed from our day of sampling the esoteric delights is that our initial reservation bordering on scepticism as we began our day, was overwhelmed by signs and events designed by the spirits of this land. Three cockatoos greeted and farewelled us, the cameras performed admirably and the rods spun all day long. Yes the rods spun, but many will put that down to all manner of logical factors. 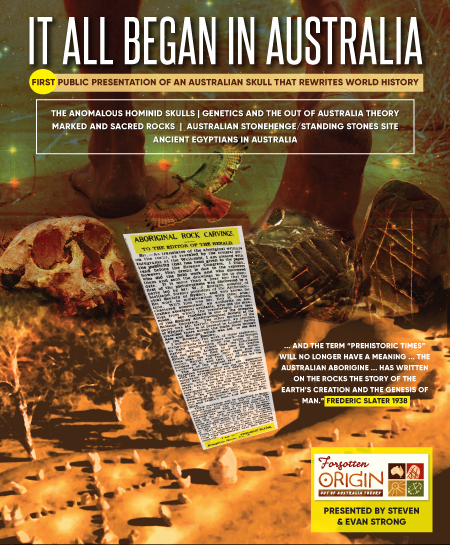 Be it sweaty hands, deceit, an unconscious desire to curry favour or conform, the wind or prompted by the promise of some spare cash in the back pocket, there are plenty of rational explanations that can account for such a fanciful tale. But when it comes to the two photographs of Robyn laying in the healing table, we only have two feasible explanations. It was either photo-shopped or Spirit-shipped. This authenticity of this entire exercise was always a matter of perspective. We were seeking to validate signs from the Divine, and to be honest failed miserably in our attempt. Did we succeed in presenting our scientific credentials? No way, we were not even close and never had a chance. 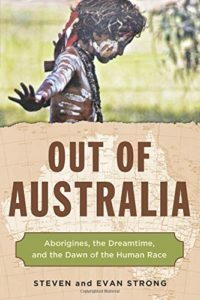 The truth is this day wandering in the bush with toys at the ready was always an indulgence, perhaps it was also our mark of respect for the mystic part of the Original journey, but as an academic venture it was doomed to fail. The reason for our failure is simple, there are none so blind as those who refuse to see. Even though we are convinced what took place is more real than what people believe to be normal daily life, we are not endorsing or championing any of these findings in any public forum. Not because we resile from these esoteric activities, but because of the wealth of powerful archaeology and science we have amassed, we feel speaking on such matters will inflame prejudices and hinder the understandings gained through our solid empirical base. It allows our critics to focus on this decidedly mystical excursion across the divide to the detriment of all other parts of our research. It is rather tragic we have to make such an equivocation, which is more an indictment on mainstream thinking and convention that an example of our intellectual cowardice. The real truth is that something happened, don’t know what it was, but we know one thing, it was real and present and looking the other way doesn’t work anymore. P.S. Richard and Robyn recently returned to the site and have more to share. In our next segment on the esoteric history and presence, their photographs and experiences will be included.